Step into the world of the Shire as seen through the lens of director Peter Jackson with this The Hobbit An Unexpected Journey Bilbo Baggins 1:6 Scale Statue! Standing a little over 8-inches tall at 1:6 scale, this polystone statue finds Bilbo Baggins sculpted by Weta artist Brigitte Wuest and her team – the same craftspeople who worked on The Hobbit: An Unexpected Journey. Each character in this line of 1:6 scale The Hobbit collectibles takes about 400 to 500 hours to design, sculpt, model-make, mold, and paint the prototype! 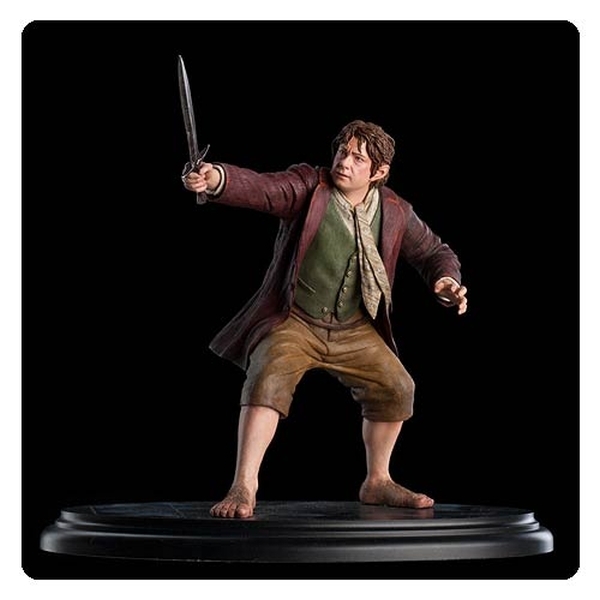 Add to your collection with the must-have The Hobbit An Unexpected Journey Bilbo Baggins 1:6 Scale Statue!